Visit the Istrian peninsula with us and discover towns on the hills and taste delicacies of hospitable locals - Istrians! We will visit Motovun and taste traditional homemade truffle delicacies, by which the valley of the Mirna river is well known. 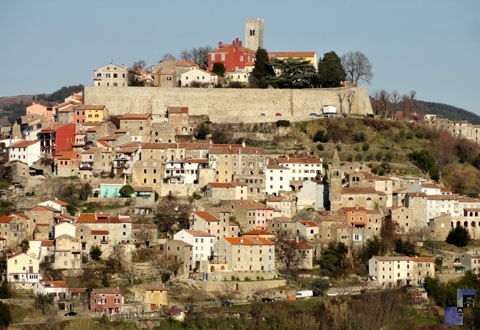 The oldest part of the town is surrounded by solid walls from the 13th and 14 century and are still intact today, and used as a walkway with unique views over the four corners of Istria. We will continue our journey to Porec on the Croatian coast and took a walk along the streets which were built in Roman times. Its major landmark, which we will visit, is the 6th century Euphrasian Basilica, a UNESCO World Heritage Site since 1997 and is one of the best examples of early Byzantine architecture in the Mediterranean region. On our way back we will drive across the bay of the Mirna River (which here flows into the Adriatic Sea) to the coastal town of Novigrad and optionally take a walk or a drive through the old town. Surcharges: Euphrasian Basilica, 30 kn (4 €)/person.